Despite praise the National Election Committee is getting for organising the national election on Sunday, an organisation representing disabled citizens said yesterday that some handicapped voters faced difficulty casting their ballots. Ngin Saorath, executive director of the Cambodian Disabled People’s Organisation, said yesterday that the NEC had provided extra care in facilitating their vote. However, Mr Saorath said that ballot boxes were too high and voting booths too narrow, making it difficult for disabled people in a wheelchair. Soy Sakhorn, director of the Representative Self-help Disabilities Organisation in Kampong Cham, said yesterday that disabled citizens continued to face difficulties due to the positioning of ballot boxes and narrow pathways when entering and exiting voting booths. Mr Sakhorn, himself a disabled person, said he was not given priority status by election officials at the polling station where he voted. Mr Sakhorn added that NEC officials were not able to accommodate all disabled citizens equally. 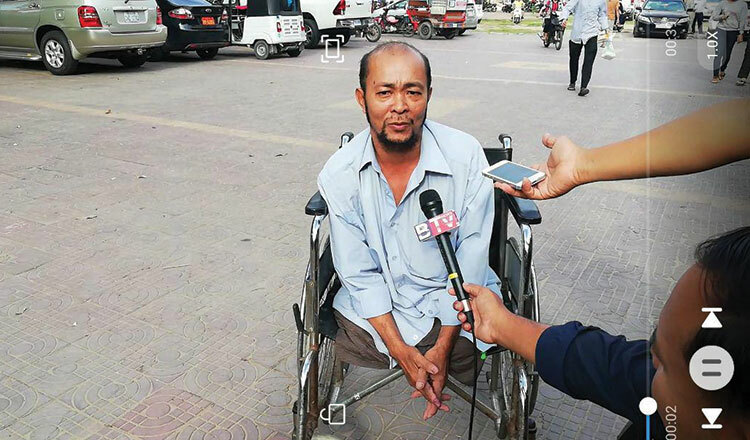 Mao Sareth, also a disabled voter, said that he did not face any difficulties voting and that NEC officials prioritised him. NEC spokesman Hang Puthea said that the NEC has never discriminated against people with disabilities. The NEC has in the past made it possible to accommodate disabled voters by placing ramps and providing assistance.